There are many advantages of using Valken Energy Li-Ion batteries, such as high energy density, self discharge, low maintenance and many others. High energy density: The much greater energy density is one of the chief advantages of a lithium ion battery or cell. With AEG’s needing to operate longer between charges while still consuming more power, there is always a need to use batteries with much higher energy density. The much higher power density offered by lithium ion batteries is a distinct advantage. Self-discharge: One issue with batteries is that they lose their charge over time. This self-discharge can be a major issue. Another advantage of lithium ion cells is that their rate of self-discharge is much lower than that of other rechargeable cells such as Ni-Cad and NiMH forms. Low maintenance: One major lithium ion battery advantage is that they do not require any maintenance to ensure their performance. Ni-Cad cells require a periodic discharge to ensure that they do not exhibit the memory effect. As this does not affect lithium ion cells, this process or other similar maintenance procedures are not required. These use the new Samsung high discharge technology. 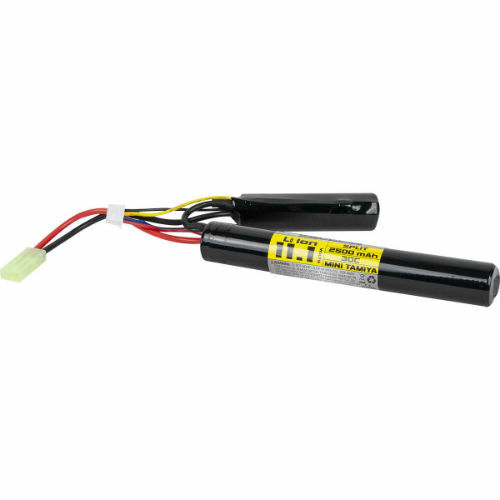 In addition to the chemical difference from LiPo, these Li-Ion cells boast a higher capacity than their LiPo counterparts of similar size.